Cloud computing is changing the way IT deparrtments buy IT. 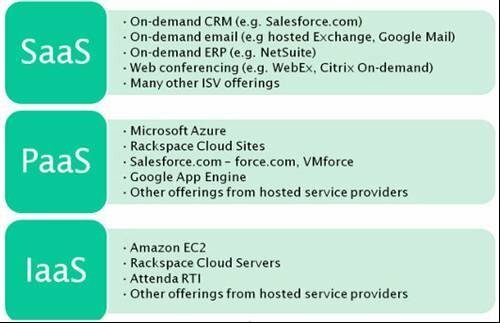 Businesses have a range of paths to the cloud, including infrastructure, platforms and applications that are available from cloud providers as online services. Many people may be confused by the range of offerings and the terminology used to describe them and will be unsure of the risk and benefits. This gallery, written for Computer Weekly, by Bob Tarzey of Quocirca aims to provide further insight. Does "SLA" stand for Special Libraries Association or Service Level Agreement? Yep you got it, I am new to IT and need the acronyms spelled out.